Get ready for some herby cocktails! Thanks to the family in Florida, we got a great spread of different herbs which are flourishing in our garden! I’ve been using them to cook with but there’s plenty so now I’m introducing a few cocktails! This is perfect for your labor day menu! Make a pitcher! 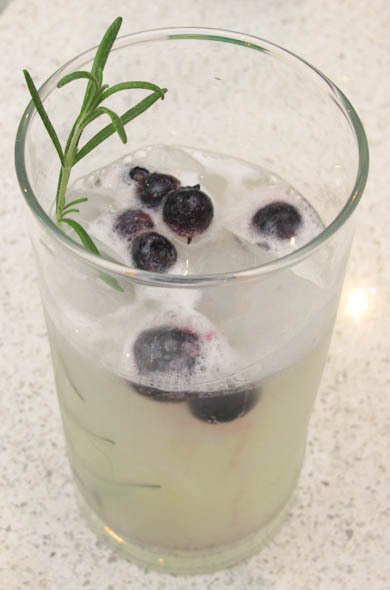 I started with lemonade and citrus vodka, and then added a sprig of rosemary and dropped a few frozen blueberries on top. So good! 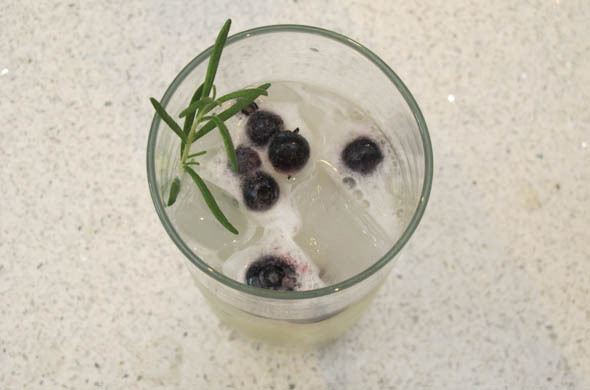 Add some ice to a glass with a sprig of rosemary. 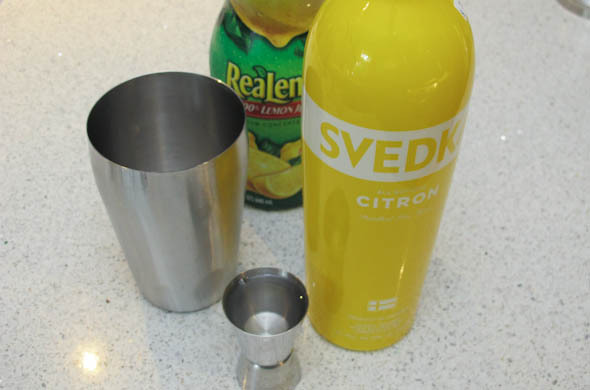 In a cocktail shaker, add 2 ice cubes, lemonade, vodka, and lemon juice. Serve over the ice and rosemary. Top with a few blueberries. I loved this. The lemon juice really balanced the flavor from being too sweet since my lemonade was Crystal Light, not a tart lemonade. The rosemary was perfect. It wasn’t too much…I didn’t want it to become woodsy. I might not buy rosemary just to make this, but it is a perfect use for rosemary if you have it from something else. 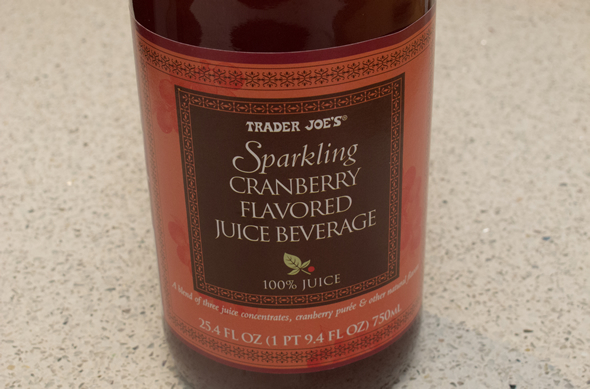 I love the fall-finds at Trader Joe’s I grabbed this cranberry soda without a plan for it but it sounded good and had serious potential. Sometimes special cocktails don’t need a reason. They make a random night’s dinner prep that much more exciting! Mix vodkas and soda over ice. Add a splash of lime juice. Ginger ale with a splash of cranberry juice would be good flavors in this. Orange zest and cointreau would be good flavors. How great would the orange flavors be for brunch?! ‘What I Ate’ is a series of posts for so-easy-this-doesn’t-need-a-recipe but I’m sharing with ya for the idea or inspiration. This cocktail is too easy for a recipe (and I didn’t measure), but it was delicious and unplanned and did I say delicious? I just had to share. I was whipping up something for dinner and my eyes fell on the orange soda in the fridge. I don’t buy many every-day drink options so we normally only have water & milk to offer. I rarely make cocktails but maybe I need to do that more often! An after work cocktail definitely makes any random weeknight feel special. I also thought this was perfectly summery. 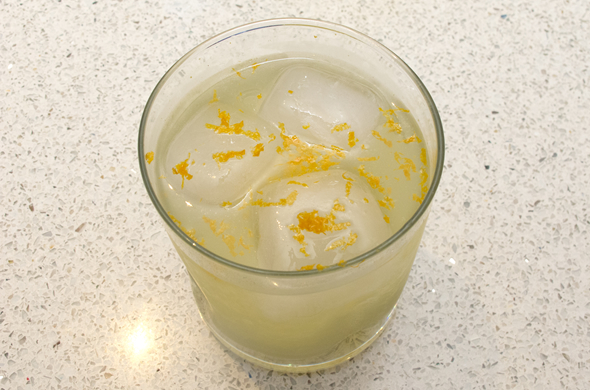 ‘Fancy’ orange soda + orange zest + whipped cream flavored vodka = creamsicle! This tastes even better than it looks. This cocktail took instagram by storm, well, not really but I was cocktail-happy so any likes made me smile. A non-alcoholic creamsicle found here as a smoothie (one of my favorite smoothies ever). 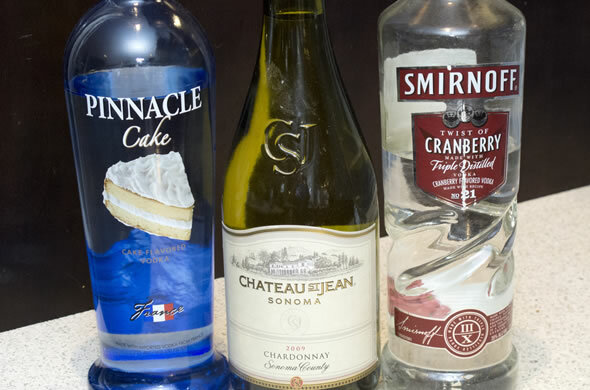 This whipped cream vodka goes with anything for an instant cocktail. I love it in hot chocolate once winter hits but now I want to attempt some sort of frozen-blended fudgsicle cocktail with this too! Any ideas/suggestions for that one? 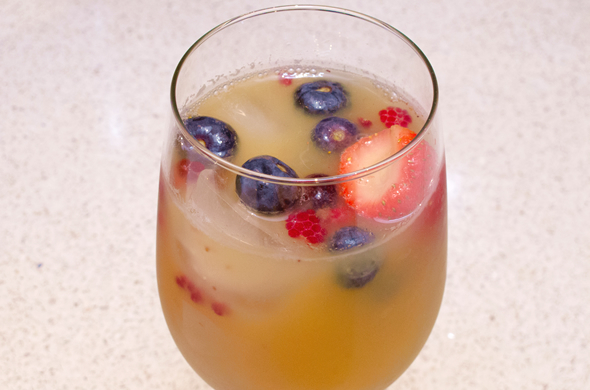 Life’s too short not to have sangria on hand in the summer, right? I only ever make it when I get to feed it to a million people. 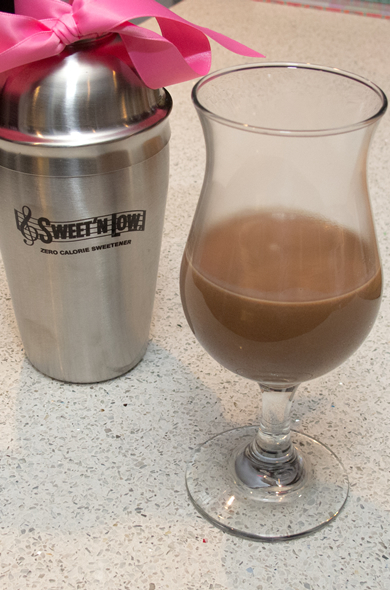 I just love it and figured why not make a slightly smaller amount to drink ourselves? Let’s be real. Mr. J had a glass and I had the rest…not all in one sitting. Welcome to #sangriasunday! It made me so happy and I need to make sangria more often. 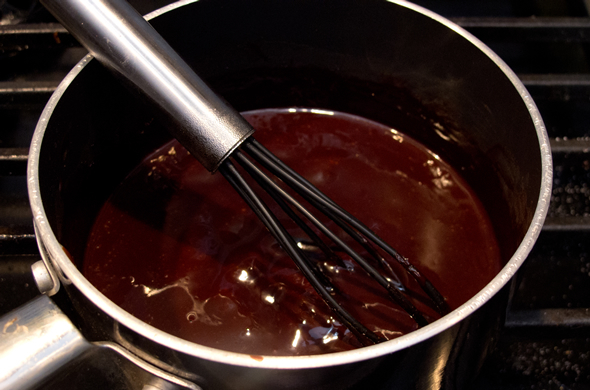 In a small saucepan, over medium-low heat, add the strawberries, sugar, and water. Cook for 10-15 minutes, until the strawberries break down. 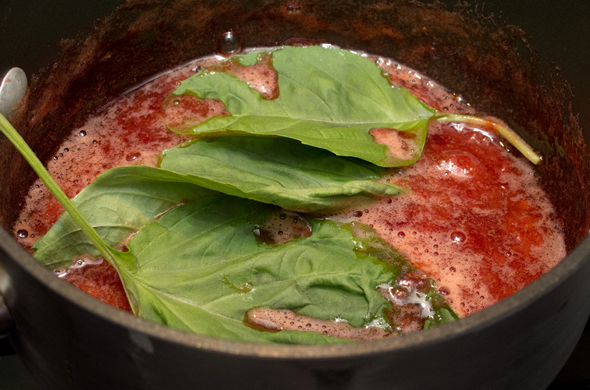 Reduce heat to low and add in the basil. Strain the berries & basil leaves out. 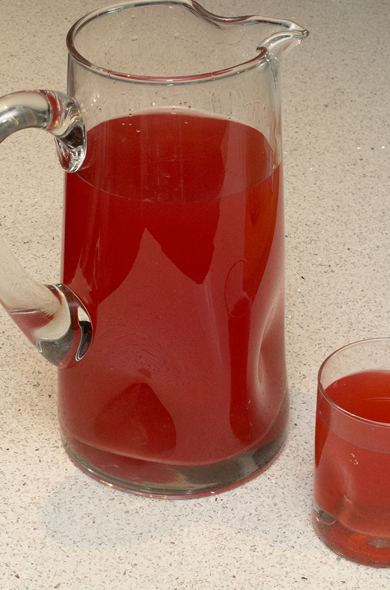 Mix the strawberry syrup in a pitcher with the wine, triple sec, and orange juice. 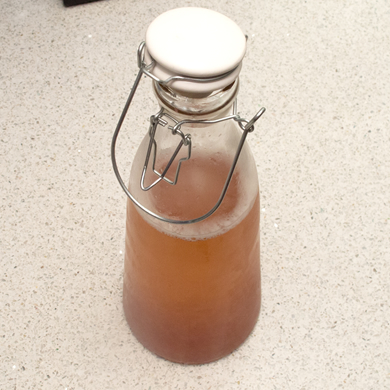 Refrigerate for at least 8 hours, preferably overnight. Serve with some berries or orange slices or basil. Enjoy! This was so good. That’s it. It was just really good. The flavors are great and not over the top. 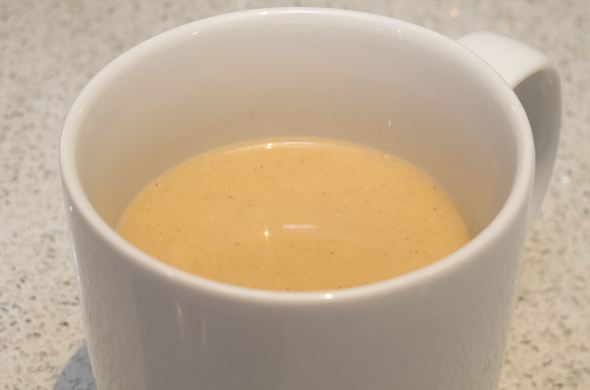 I secretly love adding the orange juice which when makes it murky and citrus-y. I like the subtle basil flavor. It keeps it from being too sweet. Sangria is perfect with cheap fruity wine. Or adding some fun to a wine that doesn’t end up being your favorite. It makes me happy when paired with BBQ or I love it as dessert. Who doesn’t love a good ole Arnold Palmer? 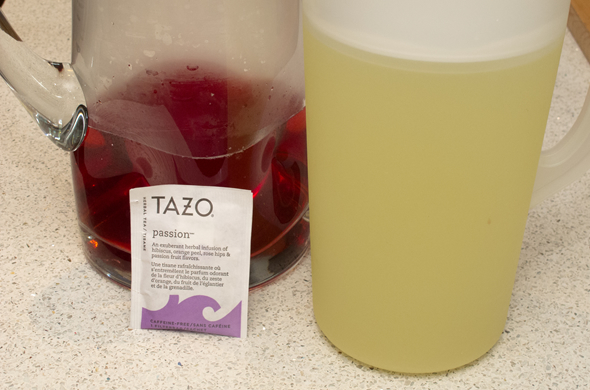 I saw this deviation of tea/lemonade on Pinterest. It seems to have arose to copy a Starbucks treat. Mix up some lemonade. Crystal Light is my fav and makes this beverage have far fewer calories than Starbuck’s version. I like that this lemonade isn’t as mouth-puckeringly tart as some others. I didn’t add any sweetener. Crystal Light is sweet enough. It is such a delightful pink in a happy-fushia kind of way. Let chill and serve on ice. Some ruby red vodka or grand marnier would be just lovely for an evening/poolside variation as well! Check out other What I Ate posts for easy ideas! 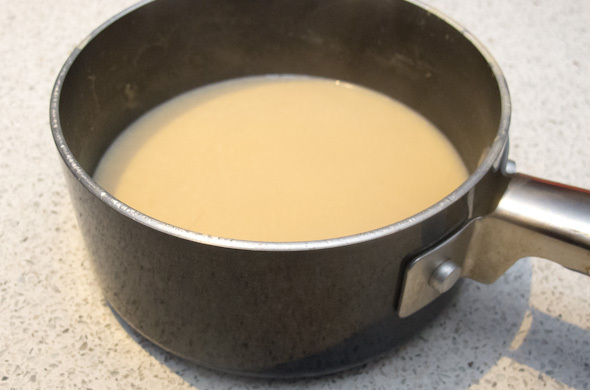 I hadn’t ever made homemade hot chocolate before and I can’t believe how easy it is! Four simple ingredients and I was on my way. Then I wondered what would happen if I replaced the milk with eggnog? Ohh wow. It was amazing. 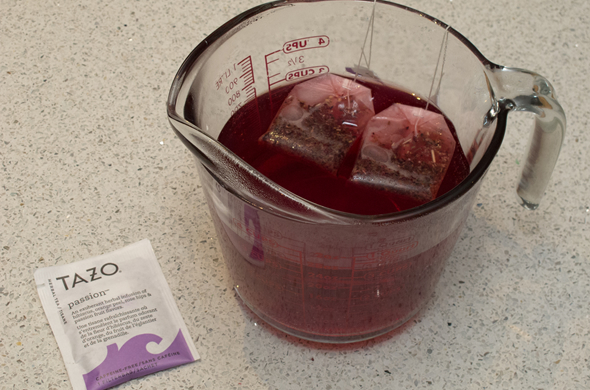 What a simple way to add some serious flavor to your drink! 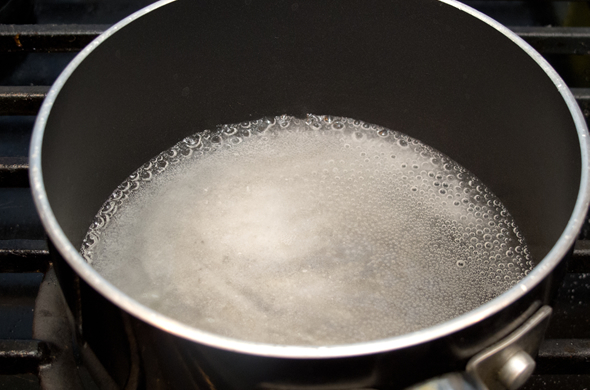 Heat Sweet’N Low, water, and salt in a saucepan over medium low heat. 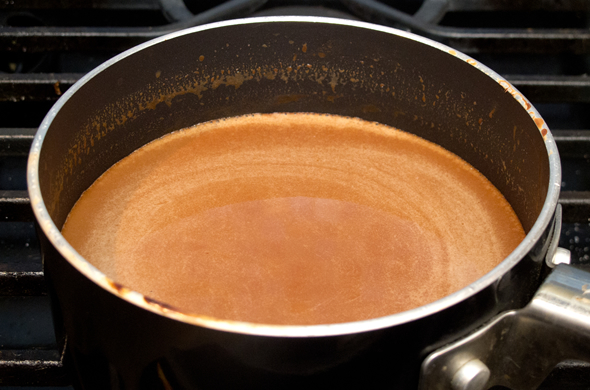 Add cocoa and cook until all the lumps are smoothed out. It was so decadent and rich. 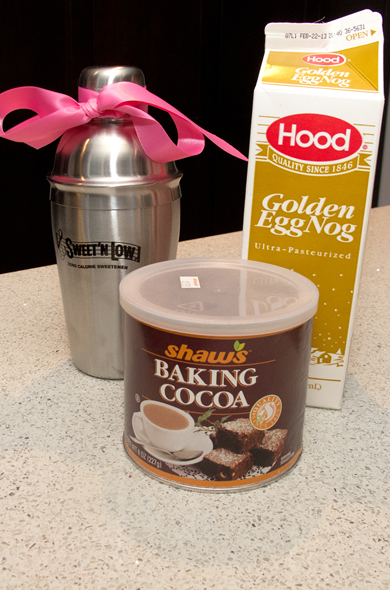 I loved the chocolate flavor with the eggnog. This was probably about 435,687,289 calories, but the Sweet’N Low helps to shed a few. I love cutting a few calories when it doesn’t affect the flavor. Full 3 Bite Rule Disclosure: I was selected to receive samples of Sweet ‘N Low as part of the DailyBuzz Food Tastemaker program. The product samples were completely complimentary but my experience, thoughts, opinions, and words are entirely my own. 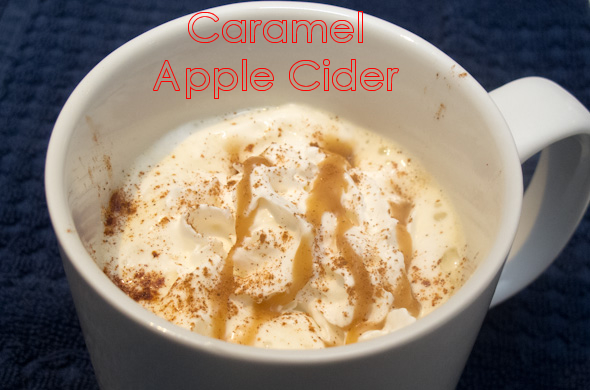 I made some hot caramel apple cider recently and expected to be floored. It was good, but not ground breaking (apple cider, caramel sauce, & cinnamon). 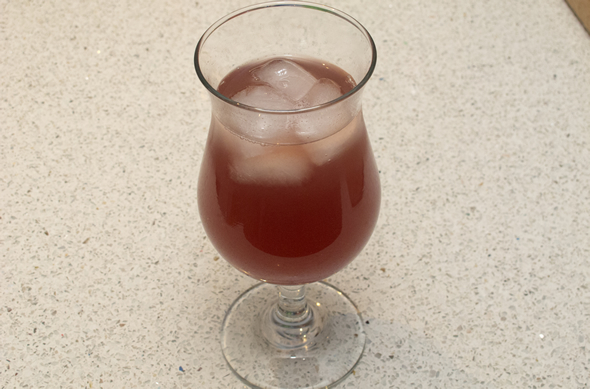 Then, I turned the leftovers into sangria and it was the best sangria I’ve ever made. Ever. Seriously. Write this down. 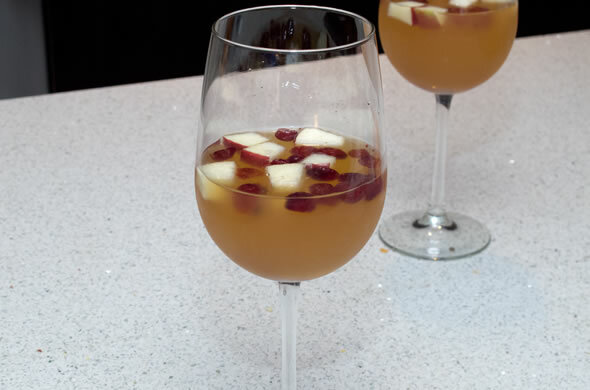 I saw the idea for apple cider sangria and adapted it to what I like/had around. 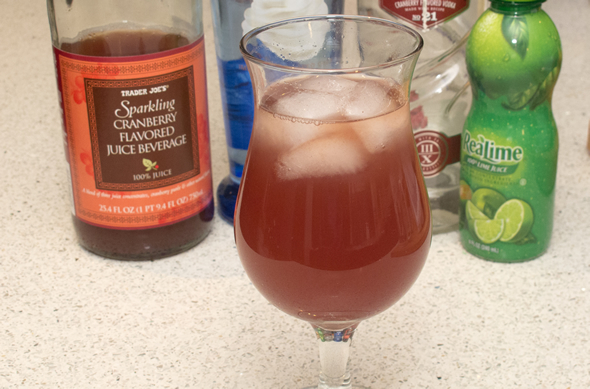 Mix cider, caramel & cinnamon (optional), simple syrup, and vodka together. Add craisins and apple and keep refrigerated for 24 hours before serving. Drink this as a cocktail or continue on for sangria. Can I gush about how great this was? Ok, great! It was fall, and crisp, and sweet, and had a serious boozy kick to it. I loved it. The apple cider and cranberry flavors were great together. I liked how sweet and cool it was. Craisins absorb the liquid and plump up. Mr. J was introduced to sangria in Barcelona and and he actually loved it! He liked this one too. It was kind of a hybrid between a cocktail and sangria anyway. It packed a serious punch. I finished my glass and was bopping around totally feeling the wine and alcohol in there! I want to make more. Already. It was fun to just have sangria around. I’m afraid I “save” thoughts and recipe ideas for special occasions. I think this was a good reminder that anything can become a special occasion. 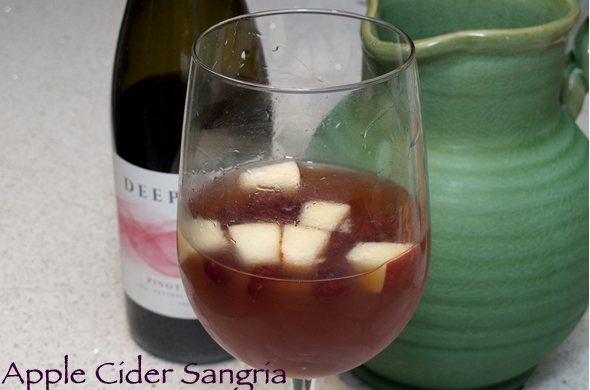 Seriously, I’m not drinking as much sangria as I’m blogging about lately. Lucky you! I’m back at it! I wanted to share this one too. This was a white one I made for Memorial day but it would be perfect for your 4th of July celebrations. It wasn’t quite as amazing as the berry one but I liked it…and I wanted to be sure my fantabulous drink dispenser got some good blog exposure. I’m sure people saw it on my wedding registry and thought “like anyone would ever use that”. I’ve used it 4 times in just 5 months (Thanks Ms. M!). It is the hit of the party each time. I suppose I could always use it for something non-alcoholic. Crazy talk. 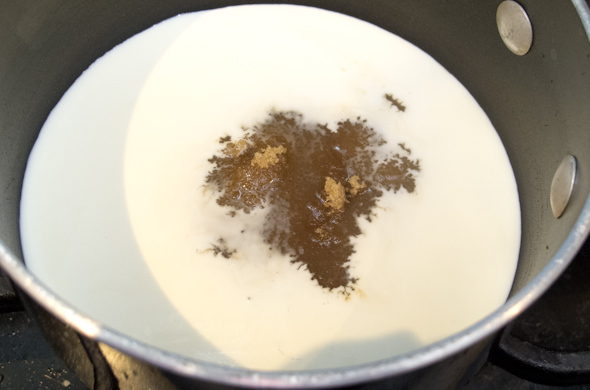 Bring to a gentle boil until all the sugar is dissolved. Allow to cool before adding to sangria. I mixed moscato white wine, triple sec, champagne and orange juice with the simple syrup. It was a sweet one that wasn’t too strong. 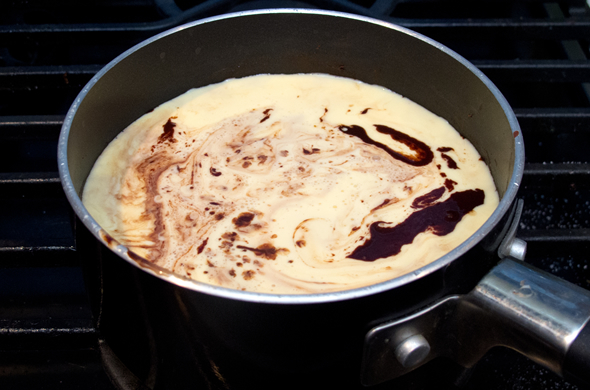 Simple syrup is a good way to sweeten up a drink. This sangria is a long overdue but this intense heat makes it more appropriate right now. 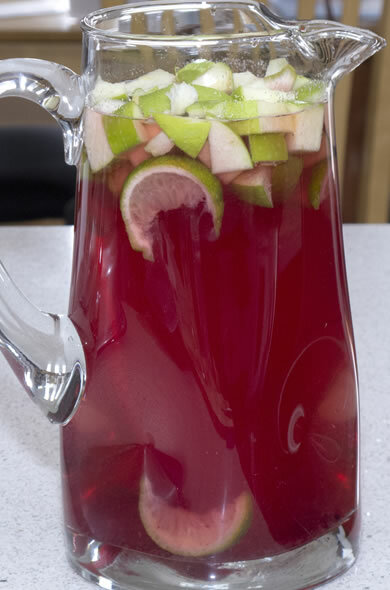 I love sangria and just wish I had it more often! I made sangria for our housewarming, for my birthday, and for Memorial Day. The berry one for the housewarming was the best but the others seem to be hits too. The key is really letting it sit for at least 24-hours. 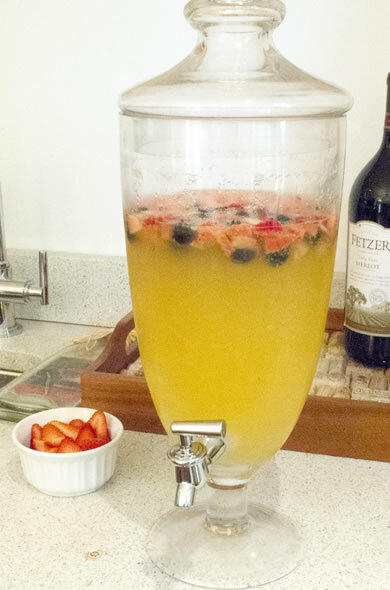 I made a berry sangria one last year and it was ok, but it only sat for about 6 hours. We drank the leftovers the next day and were wowed at how much better it was. 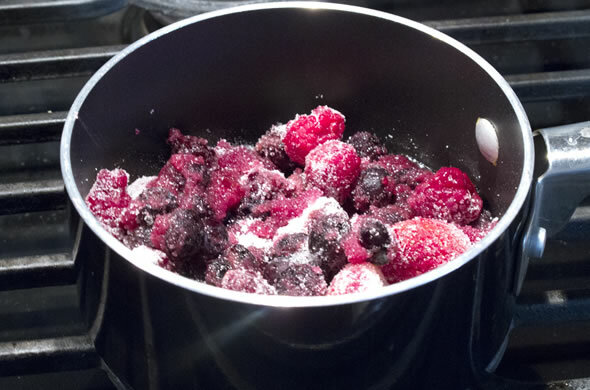 Bring berries, cranberry sauce, water and sugar to a gentle boil until all the sugar is dissolved. Strain fruit from the liquid. 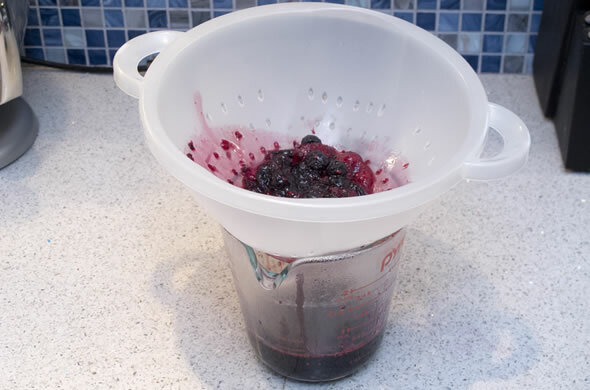 Mix fruit syrup, wine, and vodkas. Refrigerate 24 hours before serving. Garnish with lime, lime zest, and chopped apple before serving. I added a bottle of prosecco just before serving.